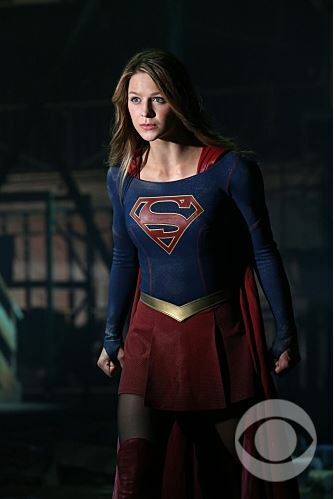 Supergirl’s sounds of exertion when she was pushing the ship were like final battle sounds, not dealing with the first potential disaster of the episode sounds. Kara heating Cat’s coffee with her heat vision was a small thing, but I liked how dynamic that moment was. Her lifting Cat’s car at the end of the episode hit the same note, and I’m excited to see Supergirl continue to show the fun side of having superpowers. 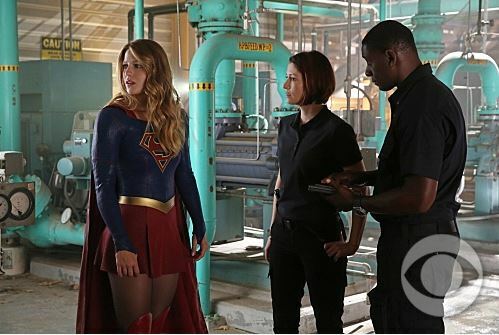 “I see you share your cousin’s appetite for wanton destruction, Ms. Danvers,” says Hank Henshaw, in the least appropriate moment to have a dialogue with Man of Steel. I mean, was she not supposed to destroy the missiles they fired at her without any collateral damage? I understand they wanted Alex punching a depowered Kara to be something of a surprise, but the show kind of overlooked logic by not having the room be Kryptonite-green beforehand. General Astra stops using her freeze breath to make a comment at Kara’s expense (ostensibly because she has turned Alex and Kara into a big block of ice), but the next time we see them, they’re completely fine. Kara responding to “I let one planet die, I will not do so again” with “Funny, I was going to say the same thing” didn’t feel like a great counter, as she was never in a position to prevent the death of Krypton (as the General seemingly was). In the comics, Hank Henshaw is Cyborg Superman, a half man-half machine with the powers of the Man of Steel. So when Hank turned around after appearing to warm up to Kara and his eyes glowed red, that’s where I immediately went. However, I felt that the little bit of backstory we had received about his character earlier in the episode wasn't enough of a set up for this moment. It was more disruptive than surprising, but I’m kind of excited to see what he’ll look like if the showrunners go full comic book. The costume designers might have messed up a bit with Red Tornado, but all they need to do is combine Terminator with David Harewood and an “S” for me to be satisfied. I only just realized how crazy the decorative TVs are behind Cat Grant. While I enjoyed the awkwardness to James and Winn’s first interaction (and them providing Kara with superhero support), them getting territorial made me cringe. 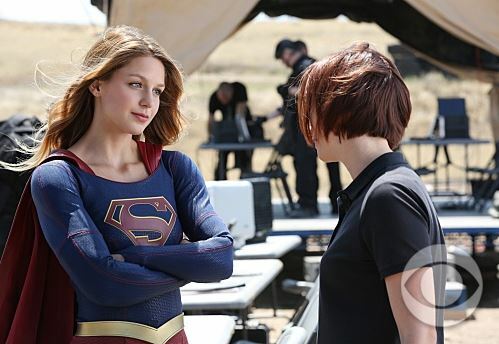 Not only am I not particularly interested in seeing either of them start a relationship with Kara, I would rather the show focused on getting the superhero-ing right first. James “inspiring” Kara by telling her he sees a city full of people who need help outside the window made National City sound like it’s in a state of constant terror, something we haven’t seen.